SEO Leads. The How to generate more Leads. <<< — Click to call us anytime by clicking on the click to call tab on the left. Since writing my blog on how to sell SEO services (http://www.salesjumpstart.net/blog/2012/02/09/how-to-sell-seo-services/, and having one published on SEOmoz http://www.seomoz.org/ugc/selling-seo-is-link-building-but-with-human-links, the number one question I get is,… OK, now how do I generate more leads. So, with that in mind I will give a few sample systems that are so powerful you must promise never to tell anyone about. But first, I have to say that you must be willing to spend either a good amount of your time, or pay someone a good amount of money to have a strong ongoing sales program. If you can’t do either of the above, this isn’t for you. Quick recap. Your best prospects fall into 1 of 4 categories. So your job is to get, what is clearly the largest group, the “I have no idea who you are”, into the “they trust you” category. Selling SEO is about trust. Step One: (Tremendously Important) Your Target List. Step one is like on site SEO, if you don’t do it, the rest of the program will not work. I mean it. Define what type of company is most likely to trust you. We use what we call, a sales crystal ball system for this. Here is how that works. Take your best customers over the last 2 years, and identify their common traits. Location, number of employees, age of company, industry, and associations they belong to. You should be able to see a clear pattern. We use 50 + possible areas of commonality, but if you have the basics above, and of course use your gut feeling about who trusts you, and you should have a good enough picture. Now, let’s say in your research of your customers, you found that the most common areas are they belong to the BBB. They have 5-9 employees. They are in the Industrial Parks, and they have been in Business more than 6 years. So your target customers will be members of the BBB, have an office in an industrial type building, have more than 5 employees and have been in business more than 6 years. Go develop this list, or hire a list broker to get the list for you. Here’s the hard part for so many business. You have to contact them! Funny how this step stops about 90% of business from moving forward with a super powerful, gonna make you happy, sales campaign. Why? The fear of rejection and it’s administratively outside of a SEO companies comfort zone. So here are two ways to make that first contact. One for the more courageous (or with the budget to hire a professional firm to do calls) and one for the more timid, who think of a cold call as a dip in a frozen lake. Call each company on the list and ask if it’s okay to send them an invitation to a webinar or seminar your company has produced specifically for their industry. The actually script is important, so you may want professionally help on this, or hire a professional telemarketing firm to make these calls and log the results in a CRM for you. During the call you want the name of the person who makes the decisions on Internet marketing, as well as their email. Promise to never spam them or sell the email. Make sure you enter all of this in a CRM. Let’s say you have a list of 500 businesses. You should call every one, and end up with about 100-150 approved emails to send invites too. (You are well on your way at this point). Your time frame will vary, but count on making 3 contacts an hour in this type campaign, so with 500 businesses someone will be calling for 167 hours. 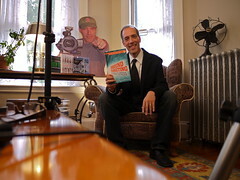 You can always start when you have 50 emails, and just continue the calling as you start your webinar/seminar program. Step Three: Invite to your seminar/webinar. The secret here is to have an absolutely killer name for your seminar/webinar. Something like: Learn the two simple and fast ways our ______ < industry> clients make more sales in a month than others do in a year using the Internet. Free. A well crafted email invitation with RSVP to your 30 minutes of powerful ways to attract new clients on line will start moving businesses on your list from they don’t know you to they do know you. This is a bigger step than you think. And if nothing else happens, you now have a bunch of targeted companies that didn’t know you, who now do know you. Use constant contact or a similar email system so you can track who opens the email, and have a RSVP tracking. Offer three different days and times. And have a well thought out- all about them, actually examples seminar/webinar ready to go. I am not going into detail here about how to pull off a great webinar/seminar and get people to RSVP . If you do some research you will find a ton of good information and help on-line. Step Four: Give the Webinar or Seminar (On different days and times). Basics here. Make it valuable. Give them real information and examples. Do not spend more than 90 seconds talking about you or your company. They don’t care at this point. Make it great tips on how to utilize the Internet to get more calls or prospects walking in the door. At the end of the webinar, offer your help. Something like, if this all sounds a little over whelming, we do have 10 spots open for clients that we can do this work for. And as a thank you for being on our call, we want to make a special offer, you can have both the programs we just talked about for the price of one, or we can through in an additional $$$$ for your new Google Ad words campaign if we start this week. Or the offer of your choice. Many of you have been on webinars or in seminars where this exact process happened. I can tell you that they work if done correctly. System for the more timid: Joint venture with a company that targets the same group of prospects. A web design company that doesn’t provide SEO services is a perfect joint venture. They have prospects that already trust them. Make a few calls and see who would be interested in hosting or promoting a webinar on the topic you developed. If your content is good and valuable for their customers and prospects they may be very open to it. You save a ton of time and get a third party endorsement as well. Or find the associations these prospects are most likely to belong to, and make then an offer to provide this content at no charge. And finally if you can not do either of the above. Send a series of three letters (each with different content) to the target list spaced by two weeks. Give then a web site to register for the webinar, and repeat the process every two months with new letters. The letters need to be well crafted, and here again, I would recommend you get professional help if you are not a pro at the copy writing thing. If you’re sending to 500 businesses, your cost will be around $250.00 per mailing, and $750.00 for the three letters. At the end of this process (and it never really ends) you should have about 200 businesses that now have moved from the “don’t know you”, to the “know you”. With a good webinar series, you should see about 150 of that move to the trust you bucket! And of those, you should see new sales of about 35 to 50 over a year. This is just one of several successful sales programs we have developed for clients over the last 10 years. It’s not original, as many of the most successful companies in the world use this system, or one like it. I’ll blog more on other systems in 2013 if we get enough requests. Now if all of this seems a little too much, and you want some help, we can provide all of the above, or direct you to good vendors for the parts you need help with. We have room for 4 new business development clients in the first quarter of 2013. If you are interested in this, just send me an email. The Basic cost is $ 2800. a month for all of the development and calls (30 hours a month) to your target list. We also will co-host your webinar the first time if you need that. As each program is different, and we must have confidence in your commitment to succeed, we need to do an interview with you to determine if this is the right fit and the right program. We have other highly successful programs that may be a better fit both for your budget and your goals. Have comments or want to discuss this post? <<<<<<<< ———————–Click to call us anytime by clicking on the click to call tab on the left. Your prospects use the internet to find your services. Your Revenues come from one or two primary sources, and the Internet isn’t one of them. You have tried to get your site more visible on your own, but it’s not. You have tried Pay Per Click and it didn’t work. You have used a SEO company and never saw real results. You would like new prospects to call you every day. Your site was built by a friend of your sister who now has gone into real estate and doesn’t have time to make changes, but you think it’s a pretty good site. You don’t have 16 hours a week to keep up on the latest SEO news, research, and changes. You hate to work on a computer. Because you didn’t build your own house or car right? Your sisters company used them for “Locksmith for your home in Garden City” and they are now in the 5th position under that keyword. Your prospects do not find your services on line. They talk about really complicated Internet stuff and seem to understand the Interweb really well. They know secret Google information because they worked there 5 years ago as an Intern. They have no references in your industry. They can not produce 5 references from the last 12 months. What you are paying for when you hire an SEO. Constant research into changes in SEO. A clear and proven understanding of White Hat SEO. A long track record which recent success in generating revenue through the Internet. A complete understanding of on site SEO, Social media as it relates to promoting your site, conversion tactics on your site, content generation, your link profile, and high authority site attraction. NEW YORK, NY – MAY 17: People attend the 5th annual Internet Week. Are you taking Notes? Submitting your site to a bunch of directories every month. Writing poorly written articles and spinning them on a bunch of Article sites. Search Engine Optimization has changed more in the last year than in the history of the service. The proof that a SEO is worth its fee is if their clients have not suffered in the last year, and if it was local SEO, since April 2012. Ask them for references from 3 similar industry clients who have used them for several years, and 3 that have started with them since April. Call those references and look for them on line. Our company, My One Call llc provides internet visibility marketing for Attorneys, CPA’s, Residential Contractors, Home Improvement Companies, Publishing Company’s, On Line E Commerce sites, Professional services, and many more. We often get called in after a business has spent far too much money on sub standard SEO services. Using the above guidelines will save you money, and get you to the right Internet Marketing company quicker. Call us if we can help. 303 500 3053. Add Pay Per Click to Your SEO Campaigns? 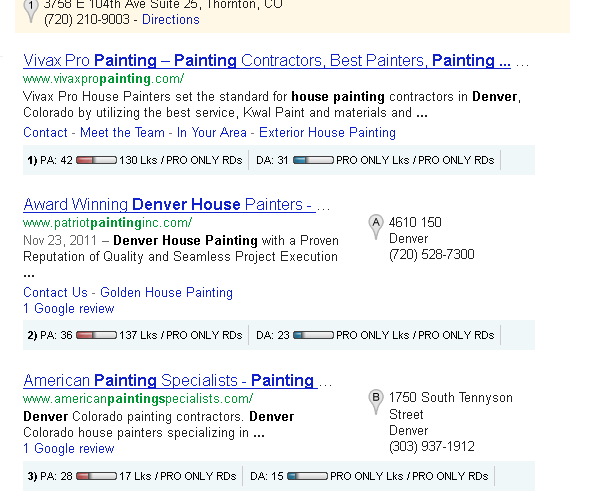 Time to Add Pay Per Click to Your Denver SEO Campaigns? The Answer is yes. Google has done a masterful job of slowly, yet consistently diminishing the visibility of the local maps on search engine results over the last 18 months. Let me give you an example. 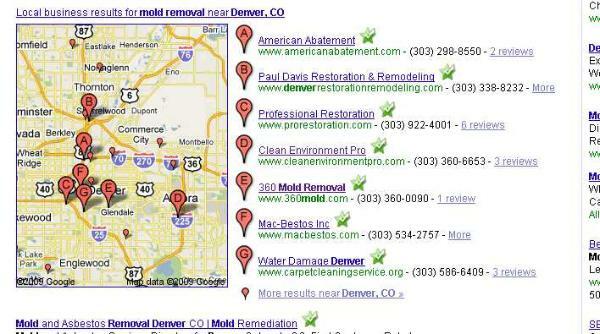 Here are the results from a search for Mold Removal Denver about 2 years ago. Here’s another example of Electrician Northglenn CO. from a few years ago. It’s pretty clear… for great Internet visibility for your site, working on Google Maps (now Google Plus Local) is only part of the strategy. Not long ago it could provide the vast majority of your traffic. Today, it’s only a piece. I have been involved very recently in two conversations where clients are under the impression that people don’t click on the Pay Per Click ads. This is very understandable from someone who knows something about how Google serves search results, because we all know someone just paid to be there. As I pointed out in each conversation, it is somewhat amazing to me how many Denver business owners are NOT aware that the top three results (in many cases) are in fact paid advertising. And the more recent research seems to indicate that generically, about 15% of clicks are on Pay Per Click Ad’s. Hey… that’s as good as being in a top 3 position! And, it’s not all that different than the days when consumer’s used the yellow pages to find local services. The biggest ads where (and are) listed first, and they receive the vast majority of the calls. People understand that they were paid advertising, and didn’t page back to find the smaller or line ads, because the company didn’t pay for that listing. Each serves up different results. Another big advantage of using the Google Ad words program is you can see great traffic statistics for key words that have become unavailable since Google stopped providing this information on many searches. So to answer the original question, should you be using Pay Per Click? Yes, but, Ad words has become increasing difficult for a novice to navigate. It’s easy to waste a lot of money if you are not trained and familiar with keyword types (exact match, Phrase match, Broad Match, Negative match and others) as well as the location targeted, quality scores and types of bidding available. Our suggestion is at least have a Internet Marketing firm who has experience in PPC set up and monitor your ad words (and any other PPC services) for you. We have lot’s of clients getting strong return on investment using PPC. Why do so many small SEO companies struggle with selling their services? Many reasons, as you will see below. SEO and Internet marketing services are, in the universal world of all type sales, on a scale of 1-10, 10 being really hard, and 1 being simple, about a 7. Here’s why. 1.) You are generally selling to a small business owner or manager.Small business owners really hate spending money on anything they can not see a very quick and tangible result from, and they have very good reason to feel this way. You must understand that most small businesses operate on a very slim margin of error when it comes to advertising and promoting their business. Unlike the fortune 500, where a $100,000 campaign is small fry, a few thousand dollars to a small business can be a big investment. A $10,000 investment may be one of the largest advertising investments they make. 2.) They don’t understand the process and experience needed to do SEO. It’s far easier to buy a T.V. or radio campaign than SEO. You can see or hear what you are paying for. It’s an easy decision (in comparison) to purchase a new server, computer, or furniture. SEO is a promise, an “IOU” if you will. Many small business owners I have worked with just think it’s some sort of I.T., PR, Web based thing we do. 4.) Most Local SEO providers don’t really try to sell. This goes with number 3. Because they do not have the experience or training, they just don’t try. Can’t blame them really, if someone asked me to rebuild my cars engine, and just handed me a book with “how to rebuild your cars engine”, the job would most likely, never be done. Or if it was, the car would not run, or be so rusty due to the passage of time, that it would be worthless. Does that sound like the state of your sales process? 5.) Many businesses in some markets have had a bad experience with SEO or Internet marketing. This is the old one bad apple syndrome. So what are the solutions? If you look at all the reasons there is one very large commonality. They are all fear based both on the prospect side and on the sellers side. A SEO service has to reduce and eliminate the fear of buying and the fear of selling. 1.) I am afraid I will waste my money. How do you replace this with confidence? First acknowledge the concern (fear). Let them know you understand that many companies have a natural fear that SEO won’t work, and it will be a waste of money. And of course ask them if they feel this way. 2.) How do you answer that or address it? Actual current examples of SEO clients that are similar to their business with a full explanation of their success. Don’t go summary version with this. Have all the facts and details ready. Where they where ranked, what their traffic was and how much revenue increase they have seen. Have 4 pages of explanation, and the last page being the reference letter from that client. Three of these type examples, and a phone call from the prospects office to one of your current clients, on speaker phone, to let your current client tell your prospect how great your service is, and that fear as significantly put to rest. All the buying and selling fears above can be addresses with logical, honest tactics, and having trained over 1000 sales professionals, hundreds of sales managers and business owners, I know that any company that makes a commitment to the sells process will see results. Oh… and if your challenge is just not seeing enough new prospects, we have proven systems that can jump start your sales with lead generation. I was just reviewing another SEO’s report to a client. Wow. Looking at the report you would think that they were dominating the local search for their keywords. But, and here we go again, they are only tracking one of the four type search queries a prospect might use to find their type company when it comes to a local intent search. Suburb of city plus Keyword. But the reality is, that prospect might use any of the following queries, and depending on where (the location) that Google thinks they are in, the results will be different. “Plumber” with no local intent. In this case Google is going to serve the results based on their information as to where the search is being conducted. Most likely you will see a Map’s listings. Very different than the search the SEO is tracking. 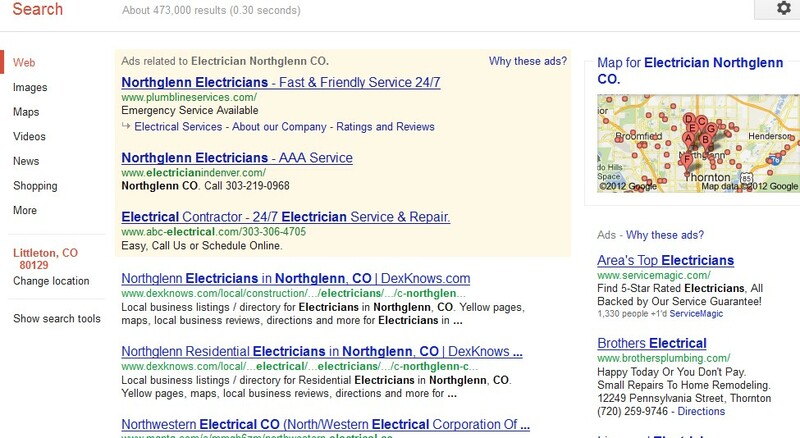 This can bring up blended results, with possible Map’s listings and organic. So the reality of the SEO ranking report is they are only viewing a minority of search queries for this customer. Frankly, intentionally or not, they are putting the best foot forward, and hiding the other foot. Local search engine optimization is a different process than national or generic optimization. 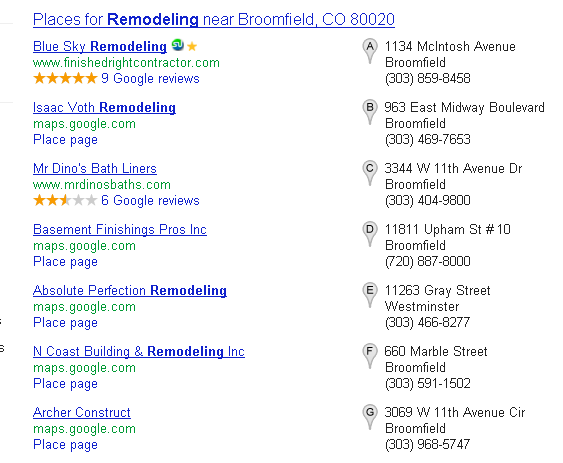 In each keyword, a good local SEO knows to focus on having the client rank in all 4 of these type queries. That’s great SEO. If we can help you with your local SEO or Internet marketing, give me a call for a free assessment of what it might take. How to sell Search Engine Optimization Services. Our company provides several sales acceleration services, one of which is business development, as in selling more. So I thought I would give the SEO and Internet Marketing firms that are struggling a little with sales, a few thoughts on what has worked for us, and what works in sales in every thing. Our company, My One Call, LLC gets about 95% of new clients through referrals from happy clients, and other business influencers in Colorado. In the distant past we did some pay per click and other marketing. For any of you who have been down that path, you know the challenges associated with selling to an advertising generated lead, those being, they are shopping (that’s how they found you right?) so you will be competing against mainly price, and they don’t know you or trust you. A well known marketing guru once wrote; “if you think about it, advertising is really an admission of failure” Or some thing like that. I think the point is if you provide spectacular service you shouldn’t need to advertise, that your happy customers will send you lot’s of business and to an extent that’s true, but you need to remind them that you need that from them. In sales there are four steps with a prospect. They buy from you or refer you to others who will. Trust is the point you need to get to with all prospects. The best way to get a prospect to the trust category is get a 3rd party endorsement of your service. If someone they trust tells them that you are the cat’s meow, the big dog, and the best ever, you are in great shape. So selling more means getting more endorsements. I am not talking about a written testimonial for your site (although that’s great!) but the reality is most prospects need more than that. We send out a monthly email to our current and past clients. It has very specific copy written to encourage them to tell other companies about us. Frankly, we bug them all the time for referrals. We also refer business to them at every opportunity. We also try to provide out of the box free services, as an example we hold quarterly networking meetings with business owners to discuss how they can help each other in business. If we hear about or see something working well in advertising or promotion we investigate it, and pass on the information to our clients who might benefit. We provide a free research service for clients who are approached with new advertising opportunities. We call the references, speak with the sales peoples, and give them an honest opinion if we would do it or not. And we bug them for referrals in very systematic and persistent ways. We play golf with Clients. We try to find new ways to be valuable every day. Not new ways to make money. The final point for now is you should target influential businesses. If you spend all your time working with start ups, your span of influence is limited. If you work with businesses who are part of the community, and well respected, your referrals will go through the roof. I know that many web design firms and Internet Marketing companies are very good at what they do, but selling doesn’t fall into their skill sets. It’s frustrating to see other companies that may provide less service and a lower quality product sell more month after month. Top 3 Rankings Google In a month. Always good to end the week with some good news. We had two new campaigns start less than a month ago with our Internet Marketing, including search engine optimization, and both are in a top three position for a important keyword search. Blue Sky is already number one for basement finishing in their city, and now remodeling. From nowhere on the first page to either number 1 or number 3. Not all of our clients see this type of fast rankings growth, but they all do eventually. Watch for Pinnacle Structural Services in the first few SER’s over the next few weeks. 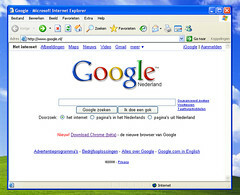 Search engine visabilty is important for most small business and it always feels great to see it working so well. 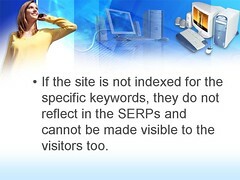 If you are working on your site’s visibility there are several key areas to pay attention to. Although the term “meta title” may sound like an eighties rock band, it’s the most important on site piece of information Google and others look for. Not only is your home page title important, but every page on your site should have a unique meta title. Google doesn’t rank your web site, Google ranks a page. Don’t let your pages compete for the same keywords! Make sure you choose one page you want to promote, and use your main keywords in that pages title, and then DO NOT use it in all the others. Our starter SEO packages is also a great way to get your site more visible in search engines and it’s rankings moving up. You can read about it n our starter SEO page.